After a year of researching newspaper articles, collecting historic images, and interviewing locals, Chippewa Falls authors Donna Bourget, Anne Keller ,and Jim Schuh have disclosed the rich landscape, historical significance, and environmental growth of Irvine Park. Irvine Park: The Bear Facts celebrates the 112-year history of the municipal gem of Irvine Park and other, smaller Chippewa Falls parks. In 1906, William Irvine and Chippewa Lumber and Boom company donated 163 acres of land to the city of Chippewa Falls in an effort to build a local park that would commemorate the beauty of the area. More than a century later, Irvine Park is known for the incredible Christmas Village lighting display each winter as well as the Irvine Park Zoo. “Because it’s been there for so long and so many people have grown up going there, the park has become a popular place for family reunions, picnic lunches, and trips to the zoo,” Schuh said. Irvine Park: The Bear Facts is filled with donated pictures, local newspaper articles, and personal stories of five generations. Irvine Park Zoo hasn’t just hosted lions and tigers and bears (oh my! ); the book is filled with a wide variety of exotic animals that have roamed the park’s acreage. Treasured furry friends such as emus, zebras, squirrel monkeys, camels, and more are introduced with their own newspaper articles. From ghost stories to stolen swans, the book displays the vibrant history of a cherished area park. “We interviewed the current and former employees of the park, including superintendents that have worked there in the past,” Schuh said. “So, we were able to get a lot of information from them.” The book features sections dedicated to the experiences of people who acted as park superintendents, a position that has existed since the park’s early beginnings. The three co-authors are active board members of the Chippewa County Historical Society and Chippewa County Genealogical Society. They have been working to raise funds for the new Chippewa Area History Center, which is in its planning stages. After a year of fundraising, along with the successful release of their first book, Lake Wissota: The Dam Story, the co-authors – and many volunteers – are halfway to their goal of $3.5 million. “People really seem to have a strong connection with Irvine Park,” Schuh said. The new museum will be right next to the southern park entrance, adjacent to the park. All proceeds of their Lake Wissota and Irvine Park books will go to the museum effort. 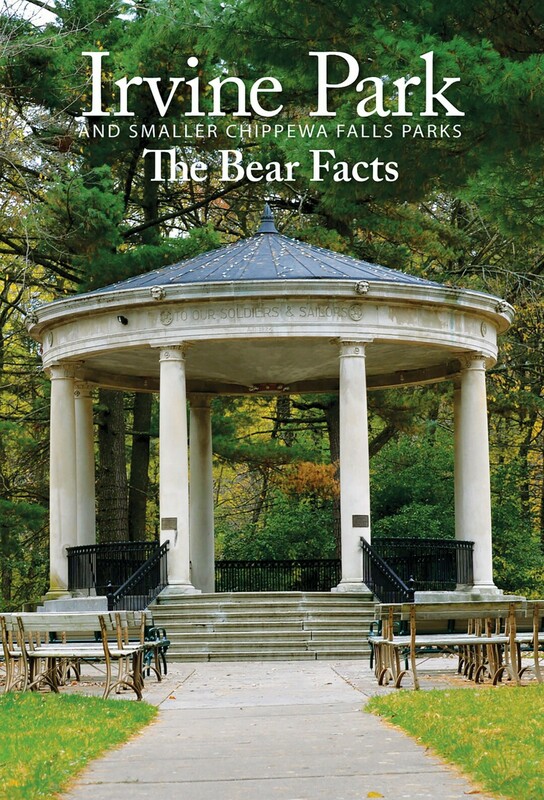 Irvine Park: The Bear Facts and Lake Wissota: The Dam Story are now available for $20 at the Chippewa County Historical Society and The Local Store.